On 2/25/07 (Sunday) Mike Chow, Paul Wieneke, and me (Brian Wilson) skied at Bear Valley, California. Here are two pictures to record this event. 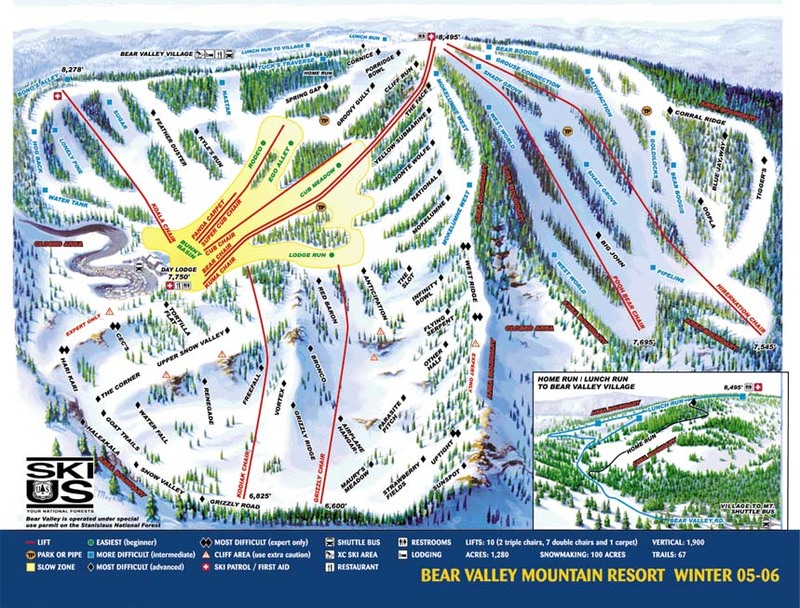 :-) Bear Valley is a smallish ski area (only 2 or 3 main lifts), but it has some reasonably challenging terrain and is one of the closest ski areas to the San Francisco/Bay Area. 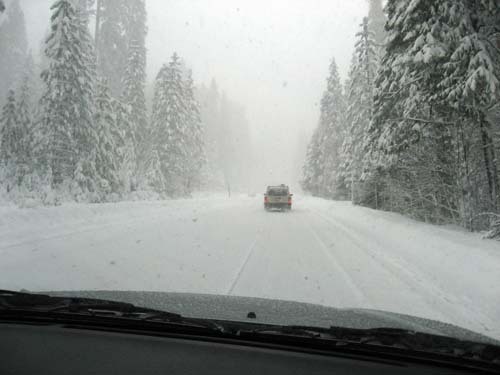 We were trying to make it to Kirkwood this day, but the roads were closed and we diverted to Bear Valley instead. The first picture was taken on the drive up to show how it was hammering down snow on us during the drive. This final picture was taken on the snow. 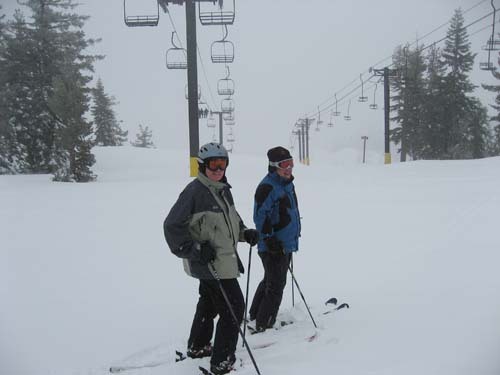 It snowed all day, a lot of great fresh powder.